There is something about having a daughter that makes a grown man very weak. I don’t know why it is, but it’s the truth. When I think about the times that I get to sit and cuddle with Joss, and read books and its just her and I, I can’t help but tear up. Not fair I tell you! Even when she tries to tell jokes I tear up, not because the jokes are that bad, but because my baby girl is growing up, and developing a sense of humor. Craziness. When she started pedaling her bike (Still on training wheels) I started to tear up. Not fair. 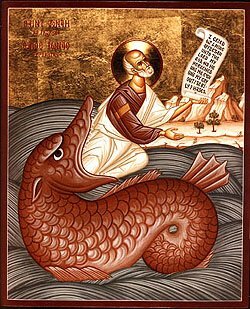 The story of God, a Prophet, Some sailors, a great storm, a great fish, a repentant nation, and said prophet’s frustration. This book is short, but full of meaning. It also has a lot of questions that it forces upon the reader. Did all of this literally happen? What does Jonah’s attempt to run away from his calling mean? When I read this book, who am I? Am I like Jonah? Like the sailors? Like the residents of Nineveh? Is this book saying something about Israel? About Exile? What’s to point of the Song/Prayer in ch. 2? These are all questions that I’m working through with my thesis. The last chapter is asking is Jonah a satire? If Jonah is written as a satire for the nation of Israel, in regards to their unwillingness to be a light to the nations, or their experiences coming out of exile and back to nationhood, then this book becomes very rich indeed. Many believe that the Romans invented the form of satire. I tend to believe that the Romans gave the form a name, but Satire itself is as old as telling stories around the fire. Jonah was written before the Romans came to power, but the power of Satire in revealing a truth was available before Juvenal and Horace. 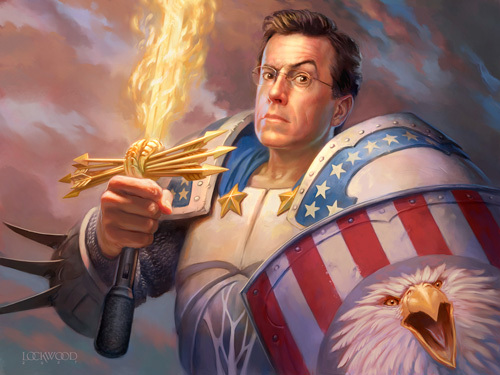 Of course satire has a strong presence in today’s cultural critique, particularly in the form of the Daily Show and The Colbert Report. So my goal in my last chapter is to look at Jonah and Colbert, the satire of a Prophet and A Pundit. So that’s where my brain is at right now. I’m so close to finishing up the drafts for my thesis, and I can hardly wait to be done, but I’ve also been looking forward to writing this last chapter for a long time. I agree that the iPad is a great help in parenting. But I don’t think that it should ever be used to replace a parents role. I’ve used the device to help entertain my kids, and help them pass the time. But I think one of the most important things about being a parent is dealing with how your kids interrupt your plans. It’s not really your kids job to care about whether or not you get to watch the game. Also I think a big part of raising kids is helping them to discover how to handle their time when they are bored. They don’t need to be sitting in front of a screen all the time, even if it is “helping them learn to read.” You know what else will help them learn to read? Actual books and you reading them to your kids. I love technology, but I love my kids more. 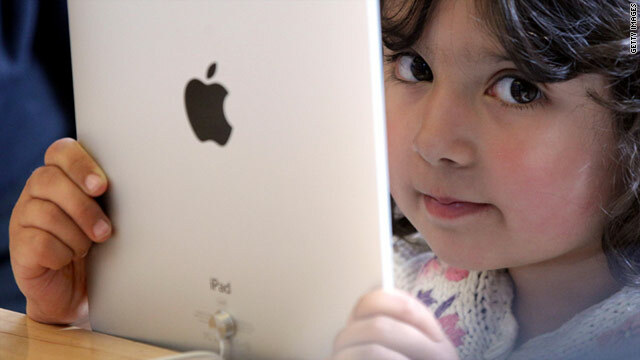 I want my kids to love me more than they love my iPad. I want my kids to have fond memories of me reading Fantastic Mr. Fox to them, not a computer reading to them.